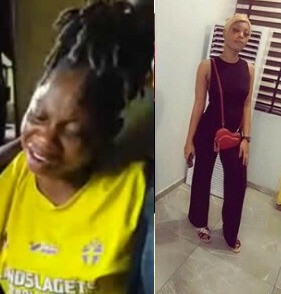 Ada was returning from a Night club with her boyfriend, Emmanuel, on Saturday morning when they were accosted by SARS officers. Worried that they could be kidnappers as they weren't wearing uniforms, Emmanuel who was driving, continued and refused to stop. The policemen trailed them to Ada's home where they openned fire on them as soon as Emmanuel parked his car.